Taken at Monument Lane shed, Birmingham. The shed is just behind the photographer; his camera is pointing north-east. 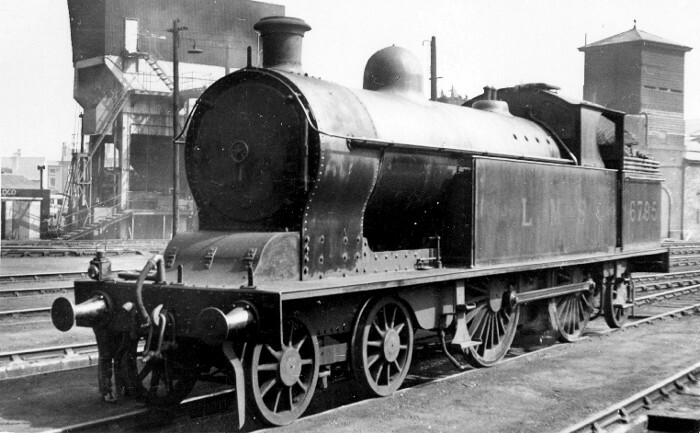 The original 3-road shed, familiar as the background to many photographs taken by Richard H. Bleasdale in the 1870s, was demolished in early LMS days; it stood where the coaling plant and accumulator tower can be seen on this photo.